SPIED: Hero Caught Testing a New Bike; 125cc Passion? SPIED: Hero Caught Hiding a New Bike; 125cc Passion? Hero MotoCorp’s forte has always been in the entry level segment which they sell in hoards! And it appears that they are capitalizing on that and are preparing some new bike in the same segment. 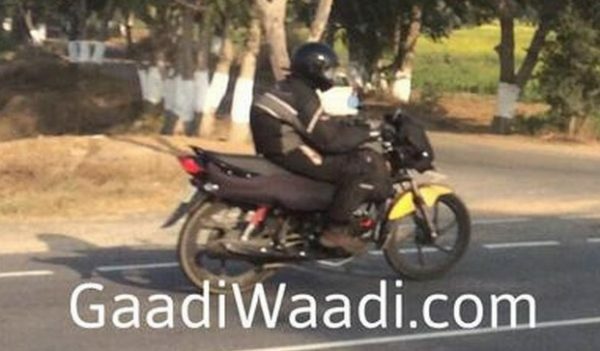 Spy shots of a Hero’s upcoming small capacity motorcycle have just come up courtesy Gaadiwaadi.com, and this a more premium motorcycle than the bare-bones one of our reader spotted back in June 2014. If we carefully observe the test mule, we notice a very Passion Pro like design with a similar tail lamp, grab rail, silencer and red colored rear suspension, few of the things that are visible from the hiding cloth. Upon zooming further, we see a horizontally mounted engine with the same red spark plug which the current Passion Pro adorns! With so many similarities, we are almost sure that this is some new version of Passion which Hero may term anything as ZXPro girl magnet or something similar! But had this been the same 110cc engine, Hero would not be testing it on the roads hiding it from the crowd for some sticker changes and a few cosmetic enhancements. 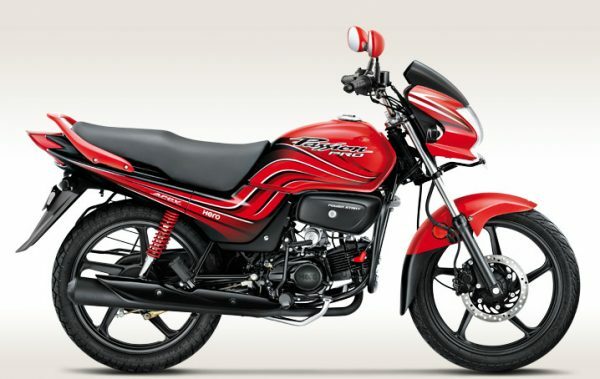 Hero’s 125cc engine on Glamour and Super Splendor is also horizontally mounted and there is a red spark plug on the Glamour as well ( 😛 ), so there is a possibility that Hero may be working on a new 125cc Passion (which may make it an even bigger chic magnet!). They already have a 125cc model based on the successful ‘Splendor’ brand and reciprocating the same with their second best selling brand (Passion) will not be a bad business idea! Related: Mysterious Hero Scooter With Telescopic Suspension Spotted; New Maestro?